A luxury hotel and club resort in one. 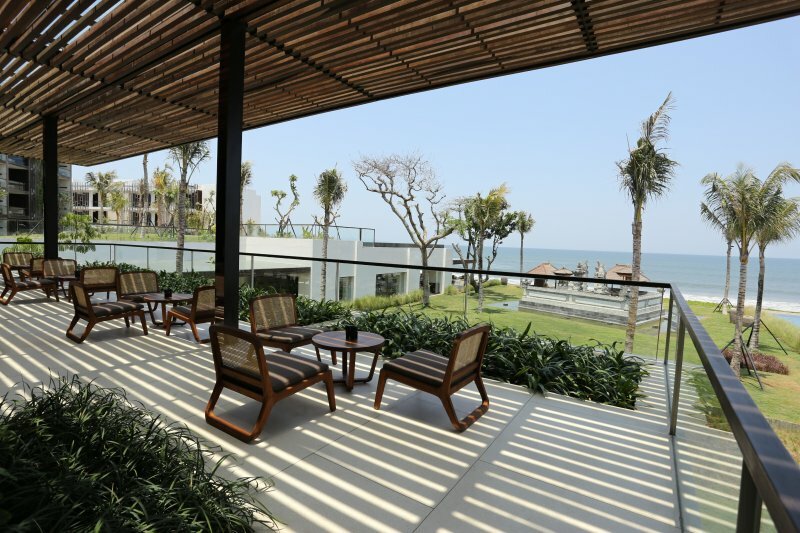 The Legian offers luxury for all tastes with spectacular sunsets included, right at Bali's goldcoast' in Seminyak. A luxury hotel and club resort in one. The Legian offers luxury for all tastes with spectacular sunsets included, right at Bali's 'goldcoast' in Seminyak. Imagine sixty-seven sea-facing suites plus 'The Beach House' spread generously along Seminyak’s beachfront, offering the luxury and privacy you deserve during your Balinese adventure. Indonesian designer Jaya Ibrahim decorated each accommodation with natural fibre-furniture and flooring for a true Balinese vibe. As mentioned there is also something called "The Club" at The Legian. think of it as a connecting resort (located across the road). The club consists out of 11 villas are located in their own private compound with a private pool and come with every amenity imaginable and personal butler service. For food and drinks there are multiple options available from casual drinks at thee pool bar to an intimate on-beach dining experience that comes with an exclusive tasting menu prepared with the highest possible care by chef Luke MacLeod. The Spa and health club are opened 7 days a week and are a perfect midday break when its too hot. The Spa offers a wide range of treatments and massages that make you feel energized and reborn. The Legian is located right at the beachfront. For you to decide to surf or watch the surfers struggle to catch the perfect wave. Maybe a good idea to try both. Noon experienced surfers can book lessons at one of Bali's many surf schools. The concierge is pleased to assist you with this and all you other requests. Not very far from the hotel there is a magnificent golf course called Nirwana. We advise you to tee off early as it can get quite hot during midday. Thee Nirwana is one of Asia's most extravagant golfcourses by the way. One of the most popular coastlines on Bali and a variety in in luxury standards is what makes West Bali attract so many tourists. From up scale backpackers to high end beach clubs with a strict door policy it's all here. West Bali is also famous for the legendary ancient Temple of Tanah Lot. The Chedi Ubud is surrounded by the greenest rice paddies you have ever seen. The hotel site is a playground filled with luxury! 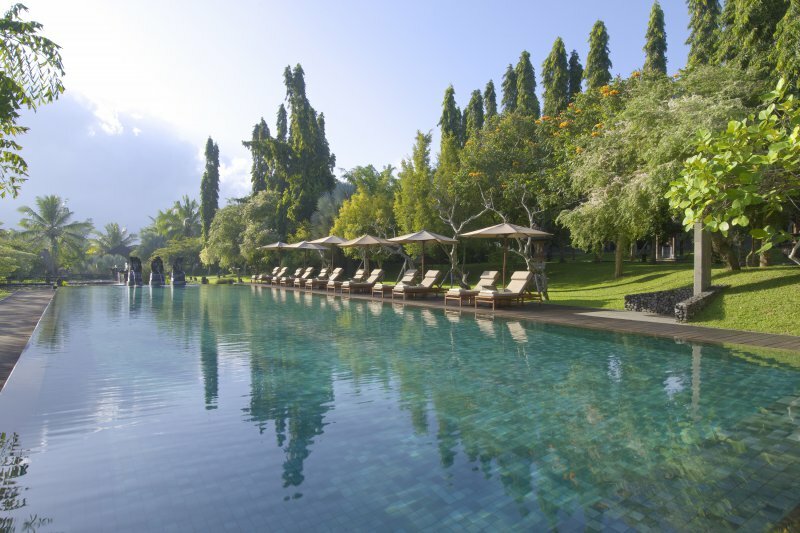 The Alila Ubud offers luxurious pampering but also a truly invigorating journey of holistic well being.